Created by the Campus Election Engagement Project, a nonpartisan effort to help college and university administrators, faculty, and student leaders engage their schools in the election. Key sites consulted included Votesmart.org, OntheIssues.org, FactCheck.org, Politifact.com, and public candidate statements. For guides to local races, see Vote411.org from the League of Women Voters and Ballotready.org. For more detailed information visit their votesmart.org pages. 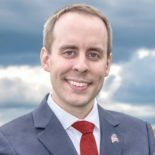 To volunteer, visit ericbrakey.com or angusformaine.com or ringelsteinformaine.com. To download a printable pdf version of this guide, click here. Maine’s US Senate & Congressional races (but not state races) will be conducted under new Ranked Choice Voting rules. You can vote for your first-choice candidate while also ranking the remaining candidates in order of preference (second choice, third choice, etc.). The votes will be tabulated in rounds. If your first-choice candidate is eliminated in any given round, your second-choice vote will be counted in the next round, & so on, until one candidate wins. Campaign Finance: Require political ads to disclose their largest funders? Position on Citizens United decision, allowing unlimited political donations from corporations & unions? Brakey – No position found. No position on Citizens United. Supported legislation to send Maine’s Clean Election Act back to the voters. King – Yes, including online ads. Co-sponsored DISCLOSE Act. Pass amendment to overturn Citizens United. Ringelstein – Yes, including online ads. Pass amendment to overturn Citizens United. Brakey – No position found. Ringelstein – Yes. Curb emissions & return to Paris Agreement. King – Yes. Says has protected “thousands of jobs” at Bath Iron Works & helped bolster & diversify ME forest economy. Ringelstein – Yes. Lays out 7-point plan to “reignite Maine’s economy,” including spending for infrastructure & broadband. Brakey – No. “I don’t think tariffs are a good thing.” Would push for real free trade. King – No. Could support tariffs on some imports, but not in the way Trump has done them. Ringelstein – No position found. Brakey – Yes. Supports tax credit for parents who opt out of the public education system. Ringelstein – No. Invest public funds in public schools, not voucher or privatization programs. King – Yes. Supported bill requiring state independent redistricting commissions. Ringelstein – Yes. Create independent redistricting commissions. Brakey – No. 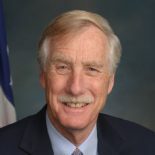 Introduced bills to repeal Maine gun laws. King – Yes. Expand background checks, ban bump stocks, limit magazine capacity. Ringelstein – Yes. Universal background checks & ban assault weapons & bump stocks. King – Support. “Not perfect,” but keep & strengthen. Brakey – No. Introduced bill preventing this in Maine. Ringelstein – Yes. Expand & protect women’s reproductive rights. King – Protect vulnerable, but consider work programs if include enough support. Ringelstein – No. Opposes making it harder to get healthcare. Immigration: Support “DACA” recipients, “Dreamers,” who grew up here after being brought here illegally? Iran: Support President Trump’s withdrawing from Iran nuclear treaty? King – No. A “terrible geopolitical mistake.” Strains relationships with key allies. Ringelstein – No position on Iran deal. Favors diplomacy against potential nuclear threats. Minimum Wage: Raise federal minimum wage from the current $7.25/hr? Brakey – No. Will hurt the people it’s intended to help. King – Yes. Has long supported Federal increase. Not yet backing $15. Ringelstein – Yes. Increase to $15/hour & tie to inflation. Ringelstein – Yes. Create federal law protecting net neutrality. Privatization: Cut or privatize Social Security? King – Fight cuts to Medicare & Social Security. Ringelstein – Expand Social Security & Medicare. Brakey – Likely no. Voted for bill allowing extra charges on solar power installations. Student debt: Refinance student loans at lower rates, by increasing taxes on high earners (Elizabeth Warren bill)? Brakey – No position found. Solution to student debt is teaching students real-world skills. King – Yes. Voted for Warren bill. Also supported legislation to simplify repayment. Ringelstein – Yes. Refinance student loans at lower rates. Ringelstein – No. Tax cuts should go to those can use them the most: the middle class & small business, not the wealthiest. Voting Rights: Support voting rules that prioritize preventing the possibility of fraud, even if limit access? Brakey – Yes. Co-sponsored bill requiring government or college-issued photo ID. King – No. 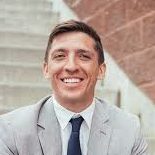 Co-sponsored voting rights bill also including automatic voter registration. Ringelstein – No. Supports automatic voter registration, Election Day registration, & fully restoring Voting Rights Act.